Click here to see the NALS Foundation Donors. The NALS Foundation was established in 1989 and is dedicated to ensuring a rewarding future for you and all legal support professionals. It is a 501(c)(3) nonprofit educational foundation working hand in hand with NALS… the association for legal professionals to enhance educational opportunities. 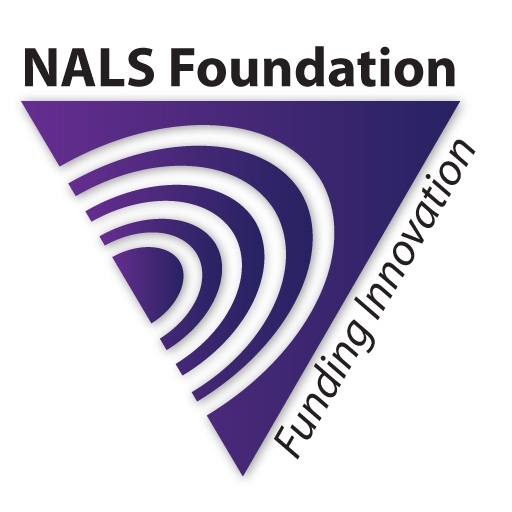 Since its inception, the NALS Foundation has awarded grants and contributions of over $200,000 for the benefit of chapters and states. The NALS Foundation strives to ensure top-notch legal services are the norm. It funds quality education programs for legal professionals working with attorneys and the public to enhance their skills and provide them with the latest information on their profession. The NALS Foundation also keeps the good of the legal profession in the public eye, emphasizing a positive image of the profession and the importance of qualified, competent legal professionals. Please direct any questions you may have to the NALS Foundation Chair at foundation@nals.org. We look forward to a wonderful and successful year in partnership with NALS and each of you! The NALS Foundation has established recognition circles for individuals or organizations who are interested in maximizing the potential of today’s legal professional and the legal professional of the future. These Annual Investment Circles are a tax-deductible opportunity for you to support the NALS Foundation’s efforts to expand educational and networking opportunities for all legal professionals. You can also make a monetary contribution to the NALS Foundation as a gift, earmarked for the program of your choice, in memory or honor of a NALS member, student, relative, friend, etc. Your support of the NALS Foundation qualifies as a charitable contribution and is deductible for federal income tax purposes to the maximum extent provided by law. Whichever way you decide to give, the NALS Foundation will put your dollars to work for you! Click here to view monetary donation options. In conjunction with NALS' national conference, held in the fall, the NALS Foundation hosts "Sweepstakes" and "Auction" events, during which member-donated gifts in-kind are raffled off to lucky winners! Click here to view gift in-kind donation options. AmazonSmile is a simple and automatic way for you to support the NALS Foundation every time you shop, at no cost to you! When you shop at smile.amazon.com, you will find the exact same low prices, vast selection, and convenient shopping experience as Amazon.com, with the added bonus that Amazon will donate a portion of the purchase price to your favorite charitable organization. On your first visit to AmazonSmile, select a charitable organization (NALS Foundation) to receive donations from eligible purchases before you begin shopping. Amazon will donate 0.5% of the price of your eligible AmazonSmile purchase to the NALS Foundation. AmazonSmile will remember your selection, and then every eligible purchase you make at smile.amazon.com will result in a donation. Donations are made by the AmazonSmile Foundation and are not tax deductible by you. As of Fall 2017, the NALS Foundation is an approved non-profit on Facebook. This means you can get involved by dedicate any day to encouraging your family and friends to give towards this career-changing non-profit. Since 1992, the NALS Foundation has pursued its mission to ensure top-notch legal services by funding quality education programs for legal professionals. One of its strategies to accomplish this mission by funding a variety of educational opportunities. In keeping with the NALS Foundation’s mission, grants will be awarded for programs which support education, leadership development, and/or certification. The purpose of a NALS Foundation grant is not to fund the entire project/program. The NALS Foundation wants to help NALS with programs that they could not offer to the members and legal community without assistance in the form of a grant.